Our pets are some of the most sacred things to us—so they should be treated as such. Our four legged, furry, fluffy, and scaly friends need the best of the best when it comes to their health and wellness. Check out our favorite veterinarians in Wisconsin, hopefully your vet makes the list! The Odyssey Vet Care has a state of the art facility that your animal companions will love with veterinarians that you can trust. Odyssey Vet Care celebrates its tenth-year anniversary after their opening in 2007. Check out their great office and meet a couple of friendly faces. St. Paul Veterinary Clinic has become a trusted household name for your pets since 1986. Serving the greater Milwaukee area, St. Paul specializes in preventative care, surgery, and dental services for your pet. They’re walk in options allow for you to come when it’s convenient for you. Located in none other than Oak Creek, Wisconsin—the Oak Creek Veterinary Care is a privately owned American Animal Hospital. They are an accredited hospital that puts your pet’s health first. They offer a full line of services for all types of pets. 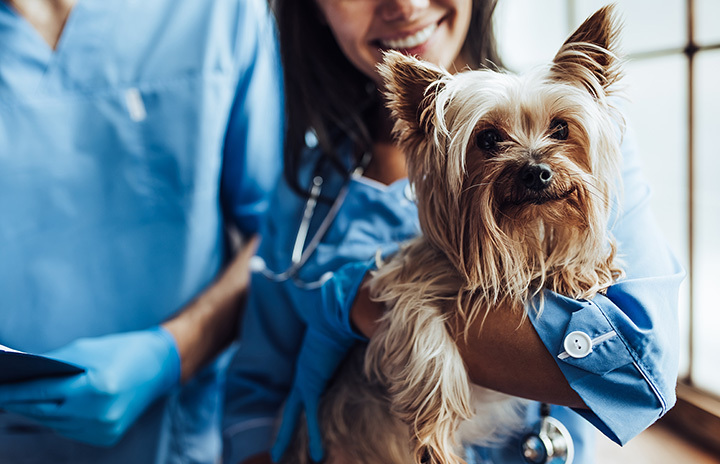 The Wisconsin Veterinary Referral Center located in Waukesha, Wisconsin, offers the highest quality emergency and pet medical care in the area. Their staff is highly skilled and extremely approachable—making sure you are kept up to date throughout the entire process. There’s no telling when an incident will occur, that’s why Lakeshore is Glendale’s preferred animal emergency room. Their certified vets are well trained and truly care about the wellbeing of your animal. For the most advanced medical procedures and personalized service in southern Wisconsin, check out Lakeshore Veterinary Specialists. All Creatures Animal Hospital provides outstanding vet care throughout the Fox Valley area. Their team is full of animal lovers, so you know your pet will get treated in the best possible manner. They will do everything they possibly can to help your pets recover. Since their grand opening in 1996, the professionals at Companion Animal Hospital have been in practice for a long time. They offer a full service veterinary menu for any and all of your pet’s needs. From exams to surgery, to dealing with behavior problems. They have been awarded the Star of Madison—a completely user generated award. All Care Animal Hospital has been serving the Wisconsin Rapids area for nearly 17 years. They offer quality and affordable care in an atmosphere that will make you feel at home. Your pet is their number one priority. Since 1982 the Veterinary Village has been serving the Lomira area. They offer compassionate service to pet owners while providing excellent care to your pets. They’re lively atmosphere makes it easy to bring your pets back, time and time again! The Wisconsin Valley Vet Services offers a ton of services for your pets. Check out their packages to help save you money and their one of a kind events to switch the ‘patient-doctor’ visits up. The well-trained veterinarians at the Wisconsin Valley vet Services will take care of all your pet needs.